I just finished a really cool, massive deadline, and I’m coming up for air. There’s also a new strip up. There should have been a lot of new strips up, last month. I’m better with other people’s deadlines than I am with my own. I’m trying to change that. I’ve been trying for a couple of years. 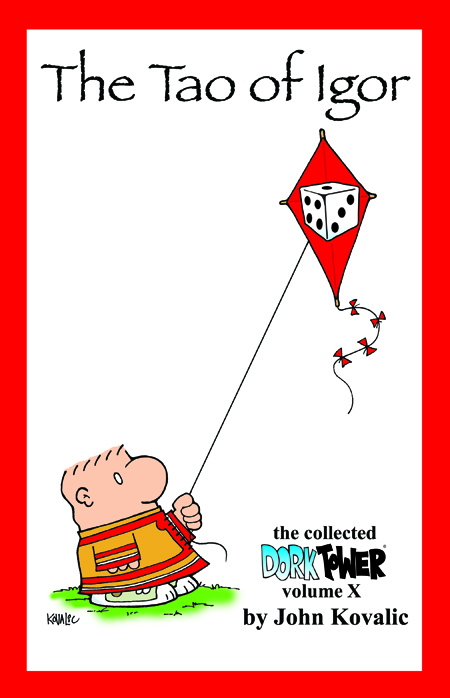 One thing I’ve been working on – albeit slowly – is a new DORK TOWER collection. Of course, that’s been going on for a while. 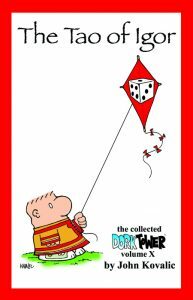 With the 20th anniversary of Dork Tower approaching, though, getting this collection out has taken on a new urgency, I’d like to Kickstart it, and also use that experience to release a series of 20th anniversary collections of the old trade paperbacks. In color. Looking glorious. To that end, I’ve been letting the old collections fall out of print. Most are now gone. Like, gone, daddy, gone. Anyway, I’m going to be traveling a bit, and working on the Tao of Igor almost exclusively. Thinking, writing, planning, plotting. But I need you folks to keep me honest. Not talking about it much, up to this point, I haven’t really set myself a deadline for it. So with no pressure, it’s been continuously on the back-burner. Time to move it up front. I’m hereby not going to accept any new freelance gigs until the Tao of Igor is done. With luck, throwing this info out there will garner exactly the kind of pressure I need to bring this over the finish line. There are only twenty or so pages left on it, and I think you cats will dig it. But it’s time to get serious, now. And once the book is done, as in “ready-to-send-to-the-printer” done, the Kickstarter launches. There are a couple of small Munchkin projects coming up that I know of, and that’s no biggie. There’s also some small commitments I need to get off my plate. But apart from them – nothing else until the Tao of Igor is done. Feel free to ask how the progress is going. Indeed, I insist on this. 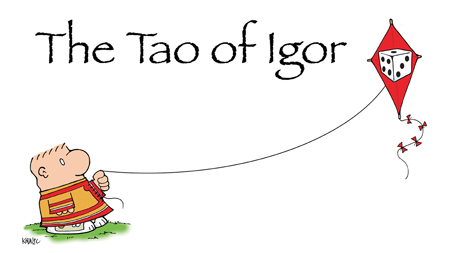 There’s a lot more info to follow, about the Tao of Igor, the Kickstarter, a potential Dork Tower Patreon, cool additions to the web site, getting back to three strips a week, and more. A lot more. So do keep me honest, here.